With the announcement of Expanded Text Adverts earlier this month, Google set into motion a major shake-up of the format of text adverts within Adwords. PPC Managers can now – and are being encouraged to – create text adverts with two headlines and a longer description. But what exactly is this change, what are the reasons behind it and what will PPC Managers have to do (plus, what is Gravytrain’s exclusive technology-based approach to it)? As mentioned above, the key change is how text adverts will appear to users across the internet. Rather than the one headline and two description lines – which have a 25 and 35-character limit each, respectively – that we have become accustom to, Expanded Text Adverts will include two headlines (each with a 30 character limit) and one description line which can be up to 80 characters long. There’s probably a few reasons why Google have decided to roll out Expanded Text Ads. Improved user experience due to more information (copy) being displayed is one, further adaptation to a mobile-first world is another and even the fact that Adwords users have for a long time wanted the capability to include more copy within their ads, may have had a part to play. However, Google have been testing this new format in some capacity for well over a year now; pushing the first description line to headline-level regularly, should a full-stop be present. This tested format has most probably resulted in higher engagement-rates and click-through-rates meaning a higher percentage of clicks are spent on paid ads rather than organic results. And this is the main reason Google have decided to switch it up. What’s the job to be done by PPC-ers? On the surface, the answer is a simple one; create Expanded Text Adverts for every AdGroup by the traditional text ad sunset deadline (which is 26th October). In practice however, the job is quite a bit more complicated than that. The majority of people managing an Adwords account will be eager to start creating Expanded Text Ads ASAP, in order to begin testing the new format alongside its shorter counterpart before the latter is retired forever by Google. On top of this, Managers will not want to lose any of the good components from their current adverts’ copy. This means setting aside a large chunk of time in the coming weeks to rework traditional text ads into a longer format. 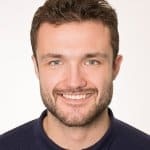 For those managing larger accounts, this could mean hours-upon-hours of monotony – and for those of us at an agency working on numerous client accounts, those hours can turn into days. Our technology-focused approach at Gravytrain (and the success it brings to many of our clients’ accounts) has led us to write an Adwords script that automates the aforementioned process completely. 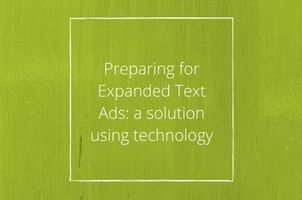 The Expanded Text Advert Generator (catchy name, right?) iterates through an account’s text ads and generates a replacement Expanded Text Ad based on the original’s copy, in a matter of milli-seconds. The new advert then replaces the text ad altogether or runs alongside it (whichever is the manager’s preferred option). Meaning managers can work more efficiently, whilst not losing any of the copy that made the original ad a success in the first place. Up until now, the application has been exclusive to Gravytrain’s clients. However, if you would like to enquire about using the tech, please get in touch with one of the team today. Contact our PPC solutions team to find out how we can improve your results with Adtech 020 3813 7545.